Lovely renovated spacious cottage with 3 bedrooms, 2 bathrooms, main full en-suite. Large study, remote garage, closed drying yard. Spacious living, dining area with Morso Fireplace and two sliding doors openings on to a garden with lovely north facing patios with louver awning. Upstairs consists of a large loft area with separate entrance and consists of toilet and a kitchenette, ideal to convert into extra accommodation, teenage pad or studio. 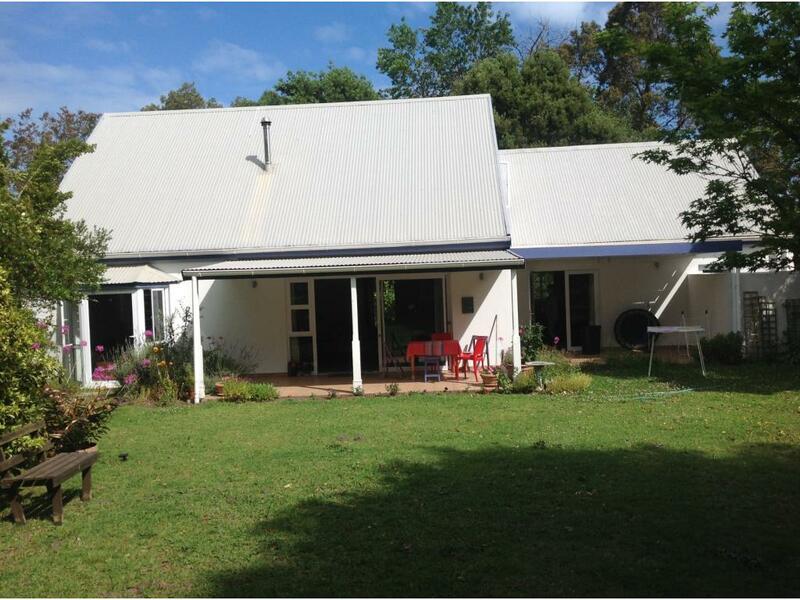 This Cottage is situated in Welbedacht 4 km from town centre and close to the Private Montessori School and Friday Market.